Hannah Goodman doesn't grow up like most kids on the Upper East side. Her mother, Gray, is an award-winning photojournalist with little time for the banalities of child-rearing, and when she's not jetting off to follow the latest scoop, she's camped out at the Hotel Chelsea. The closest thing Hannah's got to a traditional matriarch is her grandmother―a glamorous widow six times over with a sprawling Hampton's estate. But Gray is determined that her daughter resist the siren song of the trust fund set, and make her own way in the world. So Hannah does just that―becoming a successful lawyer in New York City, and dating a handsome musician. Hannah has it all, or so it seems, until one hot June day the carefully constructed pieces of her life break apart. 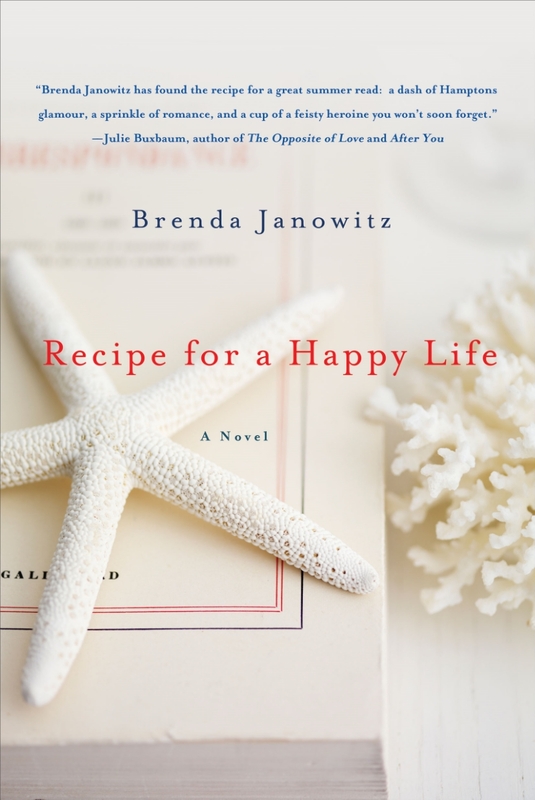 When she throws it all in and seeks solace at her grandmother's estate, she discovers that where happiness is concerned, you don't have to stick to the recipe. Brenda wrote about her own grandmother for Writer's Digest. Click here to read!